This renovated 3BD/2BA home is the epitome of historic Conch charm, with original Dade County Pine walls and beautifully maintained hardwood flooring throughout. Modern stainless steel appliances and granite countertops in the kitchen, and fully updated bathrooms. The spacious backyard provides room for gardening and entertaining & two front porches offer the perfect setting for sipping a cocktail and people watching. Walk to Key West's best restaurants like Blue Heaven, Santiago's Bodega, Blue Macaw & La Creperie. Hemingway's House, the Southernmost Point, Ft. Zachary Taylor State Park, and the shops, bars and restaurants of Duval St are within easy walking distance. 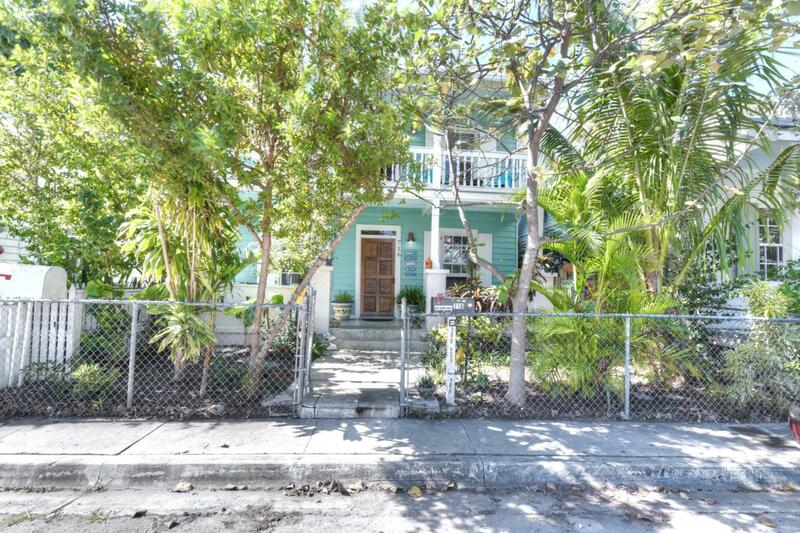 This is the perfect location for a rental property or vacation home in the heart of Key West and Located In Flood zone X.It also has a large attic that could possibly be converted to a master bedroom and bathroom.